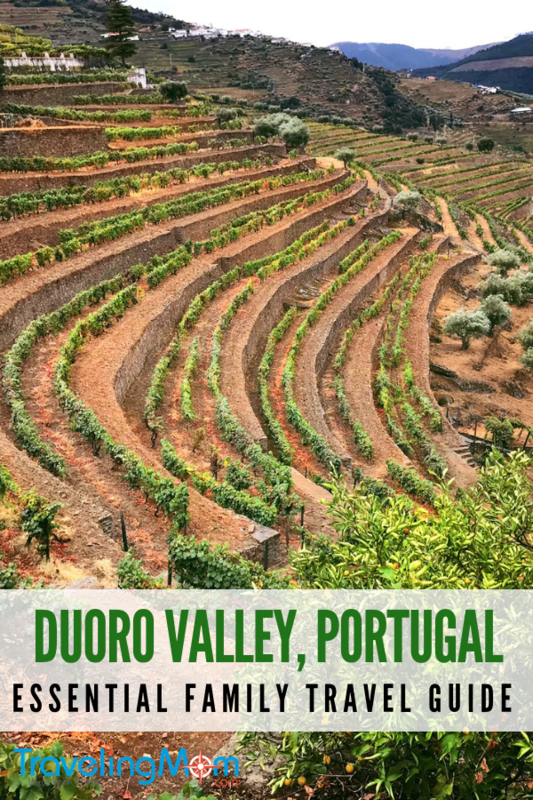 Portugal’s Douro Valley is a wonderful destination for a family getaway. The perfect itinerary follows the River Douro from the Atlantic coast to the gorgeous terraced wine region. 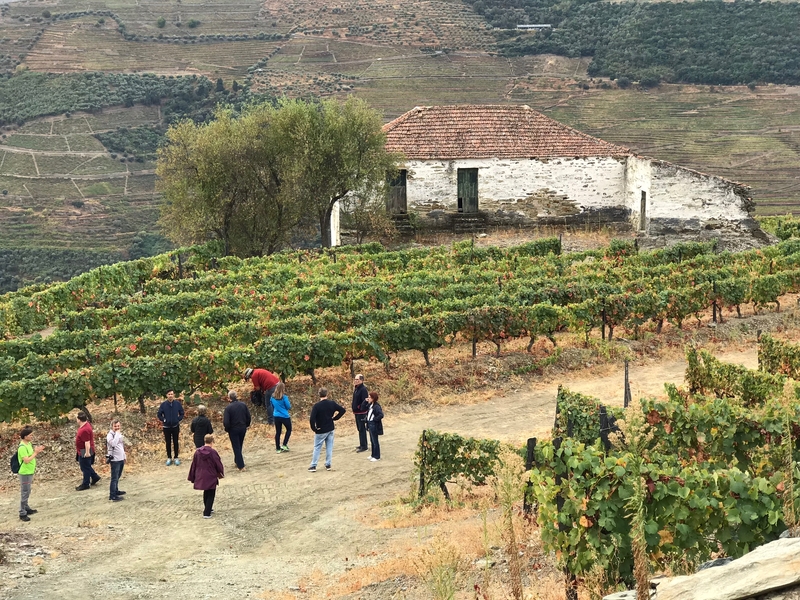 You’ll experience beaches, postcard-worthy villages, and the UNESCO (United Nations Educational, Scientific and Cultural Organization) World Heritage Douro Valley wine region. Northern Portugal and the Douro Valley region provide a historic and adventurous backdrop for families. Kids will love the cities, beaches, and mountains, while parents may fit in a wine tasting or two. Follow our guide to help you decide what to do, where to stay and what to see. The second largest city in Portugal, Porto is at the ocean’s edge of the Douro Valley. It’s a great place to start a family vacation in the region. The historic city offers plenty to explore. The beautiful riverfront area is picture-perfect with a boat filled harbor and ancient buildings. Porto has its own airport that has won architecture awards. If you fly to Lisbon, Porto is about 2.5 hours by car or train. I flew Azores Air from Boston. There are a number of beautiful gardens for children to run and play. The Crystal Palace Gardens in downtown Porto is especially lovely and is free of charge. An interactive museum, The World of Discoveries is fun for all ages. There are many touch screens with access to English and a unique indoor boat ride through different countries. Head down to the city beach at Matosinhos. It’s the town just next door to Porto. Spend the day swimming or join many locals who take surf lessons at the surf school. A visit to Porto is not complete without tasting some local Port wine. Take the light rail over the river to Cockburn’s Port Lodge in Gaia. The views back toward Porto here are also lovely. The tour through the massive winery is interesting for kids. Reservations are required. Spot Family Hotel is both budget and family friendly. The Master Suite rooms can hold up to 6 people and include a kitchenette. Regular suites are for up to 4 and also have a kitchenette. Includes free breakfast and wifi. For a more luxurious experience, check out the Hotel Dom Henrique. Upper floors have excellent views of Porto and the surrounding area. They have family rooms that comfortably accommodate 4 people. 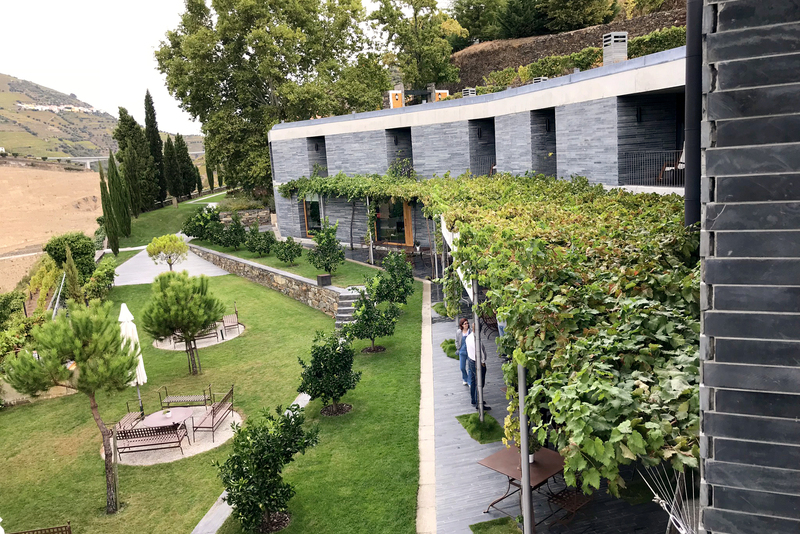 Intrigo is a hidden gem with a lovely view of the River Douro. The steak is a good choice for picky eaters. 17° Restaurante & Bar is in the top floor of the Hotel Henrique. The views are spectacular both day and night. The food is delicious and there is even a kids menu. 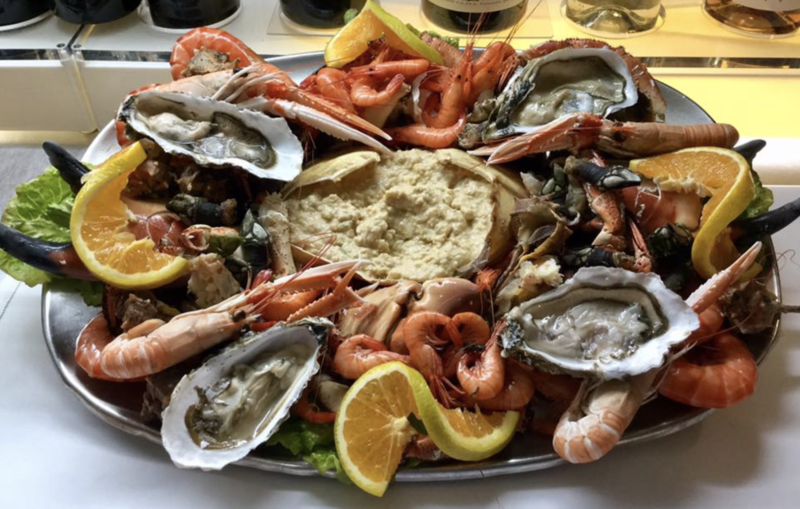 This is the must-visit restaurant for any seafood-loving family. 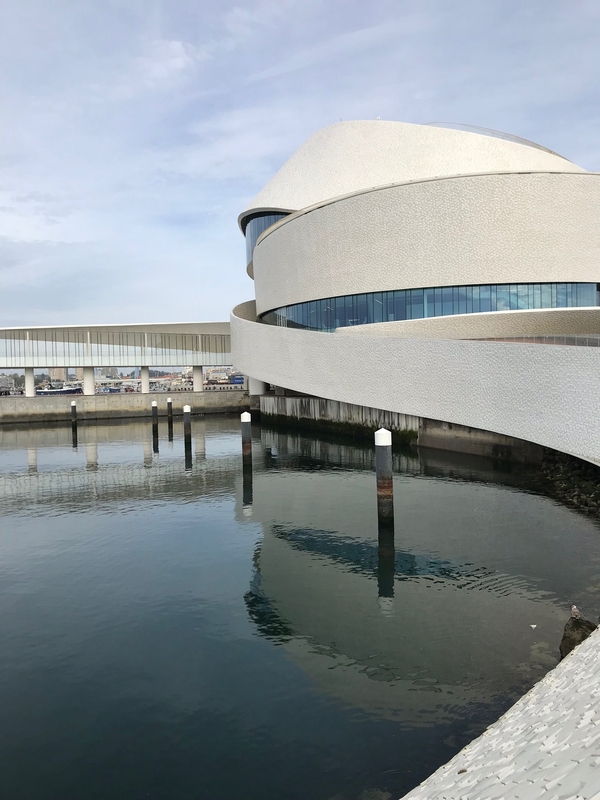 It is technically in the city of Matosinhos, and well known for its connection to the seafood industry. The seafood rice is to die for!! If the kids are really picky, you can also find typical American fast food like McDonalds and KFC. The region is marked by gorgeous mountains covered in vine-filled terraces, where the tranquil River Douro flows below. Famous for wine tasting, there are also many family-friendly activities. 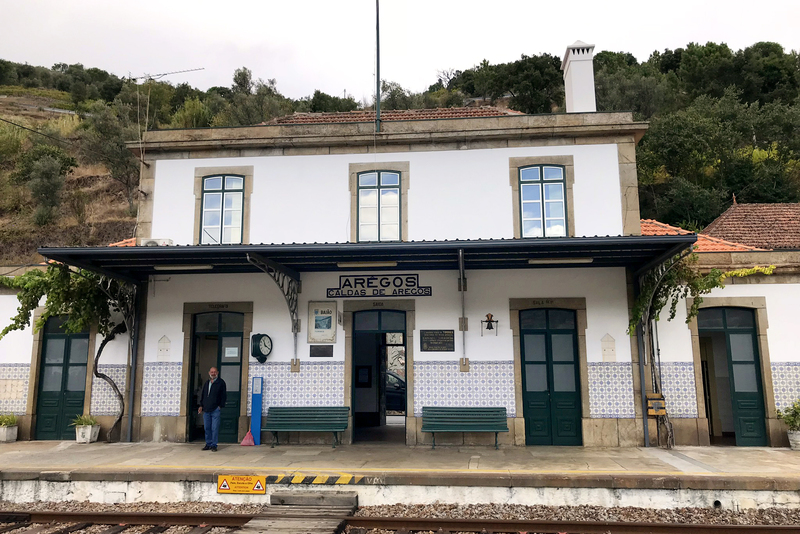 Probably the easiest to visit the Douro Valley is by train. 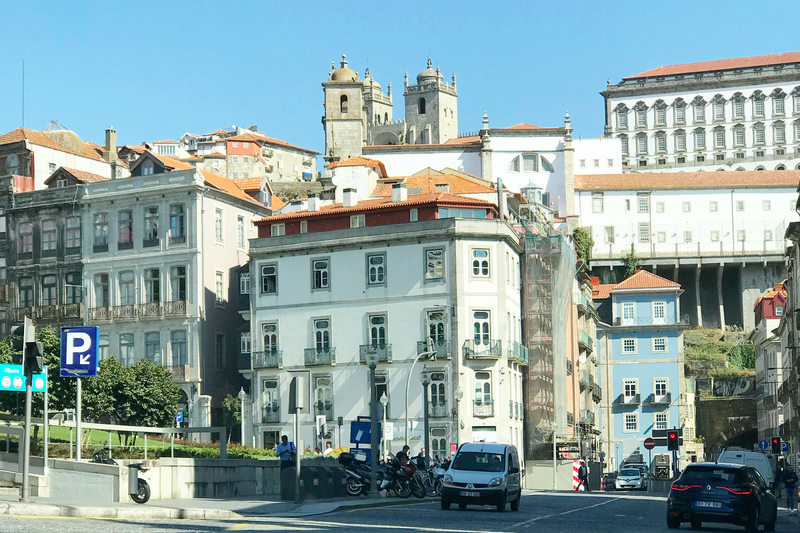 There is a direct line that runs from São Bento station in the Porto’s city center. Towns of Régua and Pinhão good places to stop for lodging along the way. Sit on the right side of the train to experience the best views of the River Douro. If you are more adventurous and want easier access to wineries and hotels, you can rent a car. You’ll experience spectacular views but will need to navigate narrow, winding roads that can make passengers a bit dizzy. Working with a tour company that provides drivers is another option. We used UNIQ Car & Driver Services. They were amazing. Ask for Rui, but all of the drivers are wonderful. The ideal way to experience wine tasting with young children is to stay at a Quinta (estate/villa) with babysitting services. See where to stay below. If you are traveling with teens, a winery tour and walk through the vineyards can be fun. You simply can’t visit the region without a boat ride of some sort. For more adventurous families, you can rent kayaks or take a speedboat ride. Or, spend an hour or two on a gentle electric Rabelo Boat with Magnifico Douro in Pinhao. 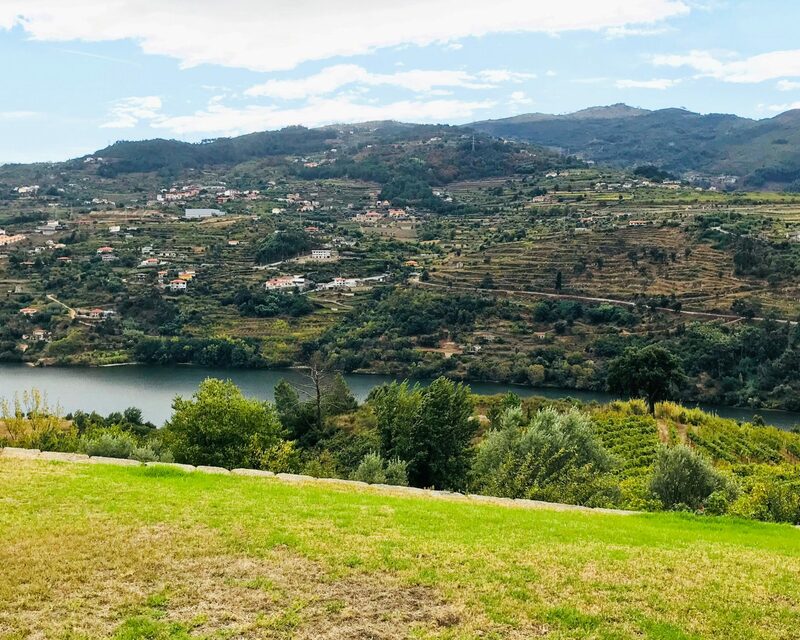 Hiking in the Douro Valley is an unparalleled way to truly experience the countryside. Some winery hotels will allow guest to hike through the vineyards and even pick some grapes when they are in season. For longer hikes, check out Portugal Green Walks. They create tours ranging from 1-8 days, some with luxury villas. I had the pleasure of hiking with them for a day, but I’d really like to go back for their Coa Valley Rock Art History and Culture Tour. Families can discover Paleolithic and Iron Age rock art. 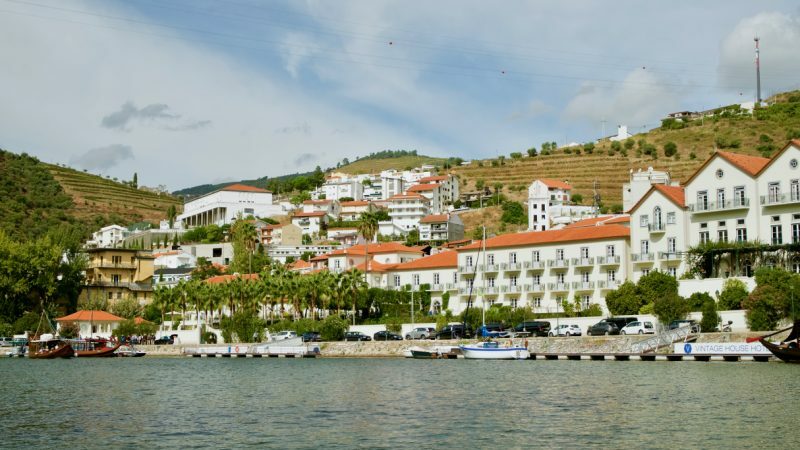 Luxury choices I recommend are Quinta do Vallado and Douro Palace Hotel. Both hotels are amazing. They have a kid’s menus and babysitting services. At Palace Hotel, kids can even visit the farm animals. All rooms have balconies or patios overlooking the River Douro. Both have pools. The Palace Hotel has a fantastic spa. At Quinta do Vellado, try a cooking class. For families, it’s probably best to visit Spring, Summer, and Fall. Summer, of course, is crowded with tourists and the region can get very hot. If you do choose summer, plan for water activities. In Spring, leaves are just bursting on the vines and flowers begin to bloom. In Fall, which is when I went, it’s harvest season winery activities are at their best. The warm colors of the changing leaves also make for spectacular scenery. All nw information for me. Thanks for expanding my horizons.